How Long Does It Take to Charge the 2019 Audi e-tron®? With the new 2019 Audi e-tron® release date rapidly approaching, you may have a few questions about the first-ever fully electric Audi SUV. 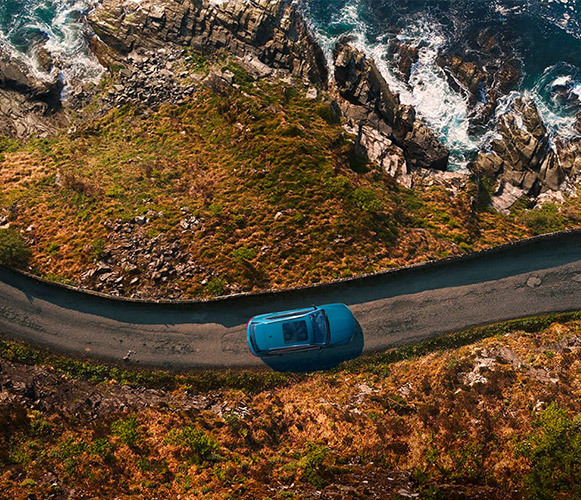 From the inspiring 2019 e-tron® performance features to the incredible Audi e-tron® quattro® all-wheel drive system, this electric SUV will continually impress throughout all your travels. Curious about how long it takes the 2019 Audi e-tron® to charge or what the new Audi e-tron® range is? Come by our Audi dealership near Midlothian, VA, to find out everything you need to know about the all-new 2019 Audi e-tron®! How Long Does the 2019 Audi e-tron® Need to Charge? 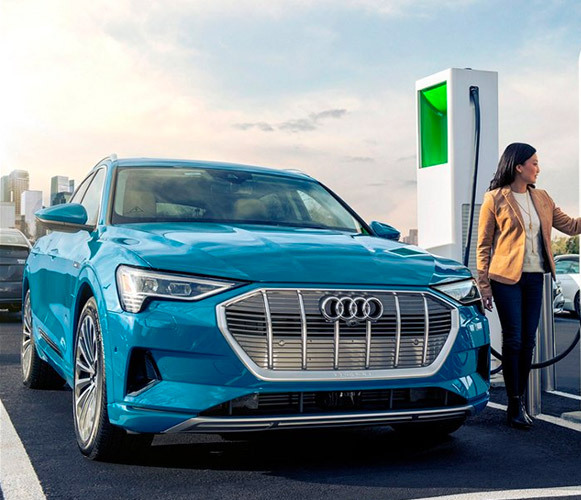 Whether you charge your 2019 Audi e-tron® at home or at an Audi charging station, you'll be amazed by how quickly the new Audi e-tron® charges. The new Audi e-tron® is compatible with 150 kW high-speed chargers, so you can get back out on the road in no time -- just 30 minutes of high-speed charging can provide up to an 80% charge! Charging your Audi e-tron® with an Audi home charging capsule? Plug it in to a 240-volt/50-amp outlet for about nine hours overnight and you'll wake up to a full charge. What Is the Range of the 2019 Audi e-tron®? The 2019 Audi e-tron® features a 95 kWh lithium-ion battery designed to maximize long-range capability, so you can travel far and wide before stopping to charge your electric Audi SUV. 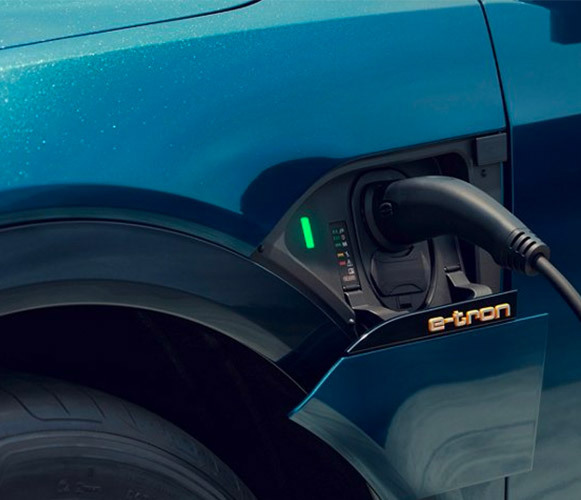 At a full charge, the new Audi e-tron® has a range of up to 205 miles. That's a far greater range than other electric vehicles like the Tesla Model X and Jaguar I-PACE offer! Where Can I Charge My 2019 Audi e-tron®? Wondering where you can charge your Audi e-tron®? Charging the 2019 Audi e-tron® at home is simple and easy with available in-home charging capsules available through Amazon. Finding a charging station while on-the-go is just as easy thanks to an ever-expanding network of over 16,000 charging stations across the country. Come by our Virginia Audi dealer to learn more about the 2019 Audi e-tron® range and your new Audi e-tron® charging options. Reserve the 2019 Audi e-tron® at Audi Richmond today!